*Zip-lining through the jungle in Monteverde. On some lines, we hung 425 feet over the forest floor. 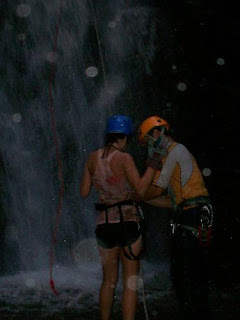 *Canyoning near Volcan Arenal in La Fortuna. Repelling 300 feet down through waterfalls. I have to take issue with the "old People" remark!!!!!!!!!!!!!!!! !